In order to provide premium healthcare sometimes it takes starting from scratch, so Ro, the direct-to-consumer telehealth company, has built its own, self-sufficient infrastructure to change the paradigm in healthcare. This NYC startup has its own physician EMR system, pharmacy software, patient applications, and pharmacy fulfillment center, which enables Ro to provide the best customer service and answer all of its clients’ health questions. Ro currently operates two highly brands Roman and Zero. Roman targets the 30M men who struggle with ED, while Zero targets the roughly 30M people who suffer from nicotine addiction. However, the opportunities to improve individual’s health are limitless, and Ro is keen on expanding its product offering and brand to reinvent the way people engage with healthcare. 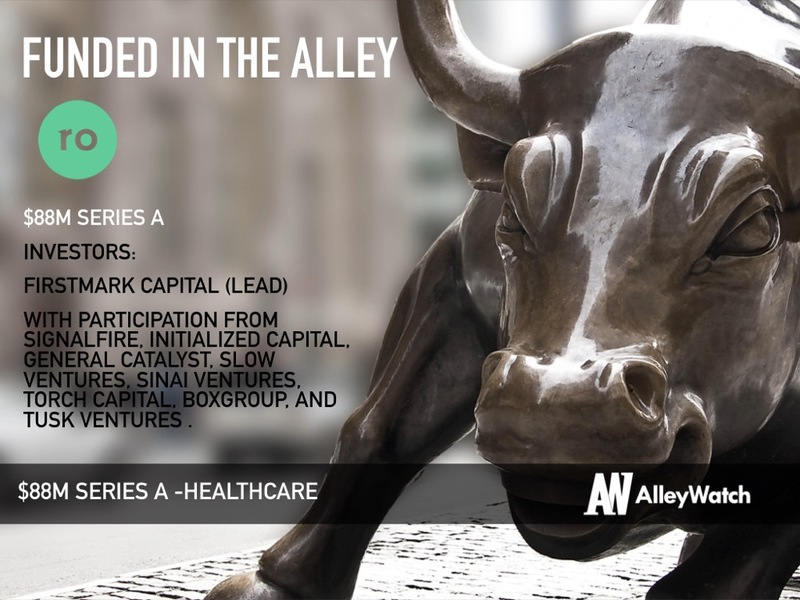 AlleyWatch spoke with CEO and cofounder Zachariah Reitano to learn about the inspiration behind creating a healthcare brand and Ro’s recent funding, which brings the total funding amount to $91.1M over two rounds. Ro’s closed its seed round last November at $3.1M. We raised $88M in Series A funding. The round was led by FirstMark Capital with participation from SignalFire, Initialized Capital, General Catalyst, Slow Ventures, Sinai Ventures, Torch Capital, BoxGroup, Tusk Ventures, and undisclosed angels. This brings our total funding to $91.1M. Tell us about the product or service that Ro offers. Ro is a direct-to-consumer telehealth company that handles everything from online diagnosis to convenient delivery of medication. Roman – an end-to-end service for men’s health starting with erectile dysfunction, which is often the first sign of a far more serious underlying health condition (diabetes, heart disease, high blood pressure, high cholesterol and commonly associated with obesity and depression). Zero – an end-to-end service to help people quit smoking, which is the leading cause of preventable death worldwide. We’re working to reinvent the way people experience healthcare. When we first started, we dreamt of the experience we wanted to deliver and worked backwards. This meant rebuilding the infrastructure from scratch. We built our own physician EMR, our own pharmacy software, patient application, and even our own pharmacy fulfillment center, which now power both Roman and Zero. We did this because we never wanted to be the company that told a member to “please call our pharmacy partner” when they had a health question. We wanted to be the company that takes on the complexity, so our members never have to. We wanted to not only offer the best experience in the present but innovate on the future. Ro works with the best physicians in the world – from U.S. Surgeon Generals to Chairmen and Program Directors at NYU, Cornell, and the University of Minnesota – to help us understand how to operate within the healthcare system and develop some of the world’s leading protocols and treatment plans so we can turn the luxury of their quality of care into a commodity that is accessible by anyone across the country. What market does Ro target and how big is it? The target market for Ro is anyone who requires healthcare. At the moment, our men’s health brand, Roman, targets the approximately 30 million men who experience ED. Our new brand to fight addiction, Zero, currently targets the approximately 38 million people who smoke cigarettes in the U.S.
As both of these brands continue to grow and launch new products, and as we create new brands to address new conditions we can tackle through Ro, our target market has no limits. 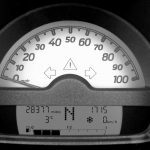 Is ED a taboo topic and if so how is Ro changing that? 2) People didn’t know ED is a symptom of diminishing health enabled us to connect with our skeptics on an emotional and intellectual level. By breaking down the stigma, we enabled someone to feel comfortable sharing their experience with their partner or doctor, thus identifying the underlying cause and improving their overall health. 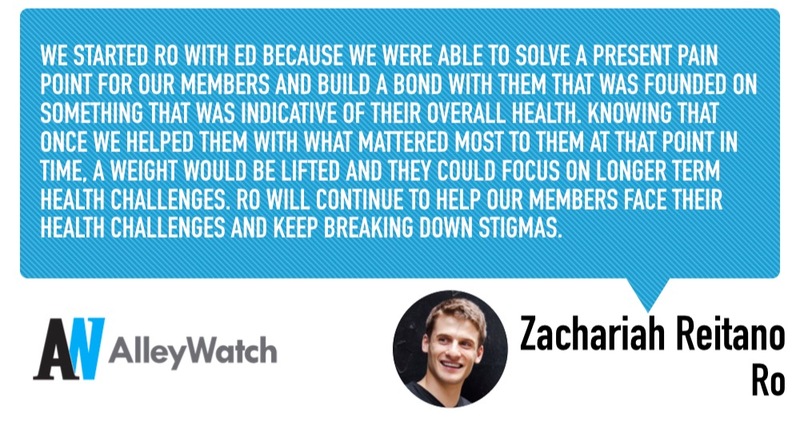 We started Ro with ED because we were able to solve a present pain point for our members and build a bond with them that was founded on something that was indicative of their overall health. Knowing that once we helped them with what mattered most to them at that point in time, a weight would be lifted and they could focus on longer-term health challenges. Ro will continue to help our members face their health challenges and keep breaking down stigmas. We make money in two ways. We provide a marketplace to physicians to perform telemedicine services and charge a monthly fee to be on the platform, and we help members manage the fulfillment of their treatment. We were lucky that most of the investors in this round were existing investors who believed in us and our bigger mission. We’ve been growing very quickly, and our insiders have continually supported us. From the start, our investors knew we weren’t just building an ED company – that’s not what we set out to do. Our investors all saw the bigger picture of what Ro could accomplish and how the infrastructure we’ve built could impact healthcare. Finding the investors who share our vision and philosophy around rebuilding healthcare infrastructure from the ground up. A lot of DTC companies ducktape services together (e.g., fulfillment center, branding agency, growth agency, customer support vendor, dev shop) and quarterback between these service providers. It makes it very easy to stand up a successful business. But, ultimately, you’re dependent on other people’s core competencies in order to innovate day in and day out. It takes more resources to build it yourself and it isn’t the way to go if you want to flip the company in 5 years. But, if you want to change the way people experience healthcare over the next 20 years, you need to build the hard things. Not every investor is down for the 20-year journey, which is great because it is a self-selecting pool but can take time. Ro is experiencing unprecedented growth––since January we’ve grown 720%. Ro is also on pace to do tens of millions of dollars in revenue and has had had over 1M patient/physician interactions. On top of the numbers, the mission has always resonated with our investors. Zero and Roman are still just the beginning. We’ll launch new products and new brands that are members need. We’re going to build healthcare experiences our members’ have never dreamt of, so they can get back to doing the things they can’t stop dreaming about. Do not raise money until you need it. It has never been less expensive to have an idea, build an MVP (minimum viable product), and test it to see if it has traction. Often people want to raise money because they think it’s cool to be a venture-backed startup. It’s not. You’re selling a portion of your company. Fundraising is a means to an end and you shouldn’t do it unless you absolutely need additional capital to bring your vision to a reality. Continuing to provide the absolute best healthcare experience for our existing members, and new members too. I don’t drink but a long walk with my pup and my partner Cleo usually does the trick.